The Heroes of Olympus is coming to a close with The Blood of Olympus, to be released on October 7, 2014. 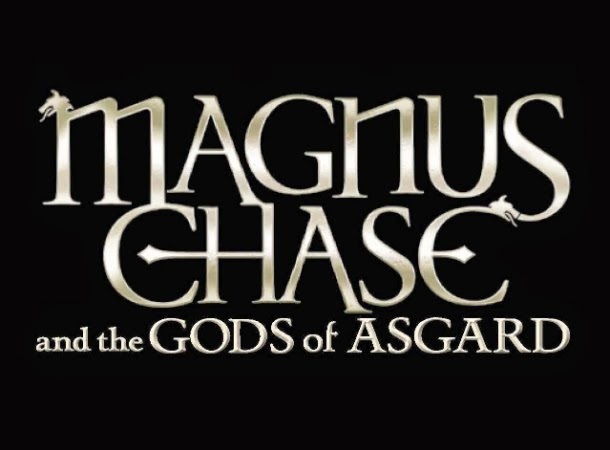 But Rick Riordan fans should not go wary with this closing as a new series is coming our way and this time it's all about Norse Mythology. The revelation was held during the webcast from Mount Olympus (the sensationalized name for the Empire State Building) in conjunction with the release the author's coffee table book, Percy Jackson's Greek Gods, a companion book for his Greek Mythology series and written in Percy Jackson's perspective. 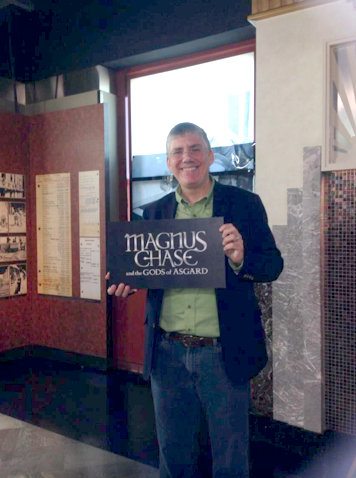 The Norse Mythology series by Rick Riordan is officially revealed as Magnus Chase and the Gods of Asgard. You can see its official logo below. Notice that the main character, Magnus Chase, sound familiar. That is because in the author's other series we first met Annabeth Chase. Could they be related, separated by birth due to some yet undisclosed circumstance? That sounds very much like how the life of the Kane siblings goes. But of course the author won't confirm anything as of the moment, leaving as all with brains running to formulate some theories. Here are some official words from Riordan: "And yes, I know what you're wondering. Chase . . . hmm, where have I heard that name before? Isn't that Annabeth's last name? Yes, it is. And no, that's not simply a coincidence. Beyond that, I'm afraid I'll have to leave you guessing." The title of the first book in the series will be revealed at the last pages of The Heroes of Olympus: The Blood of Olympus and it will follow a year after the release of the said book. Cant wait for October 2015 already.